observatory. 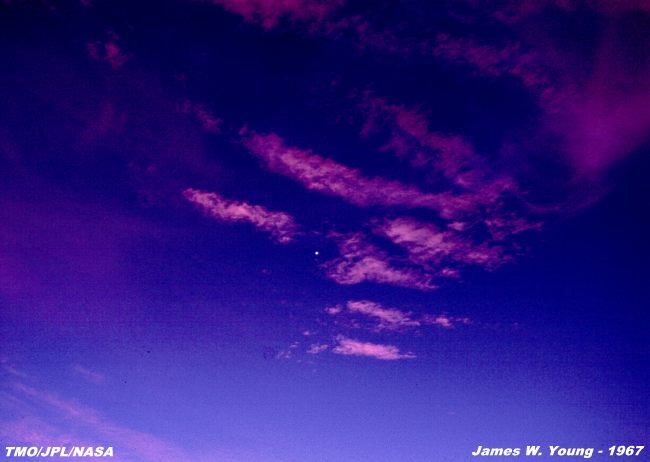 Here, Venus is seen in the pinkish colored cirrus clouds a few minutes before sunrise. exposure on Kodak Kodachrome 64 ASA slide film.